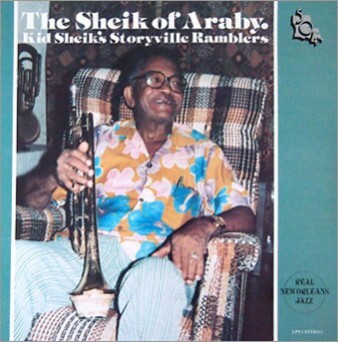 George “Kid Sheik” Cola began his musical journey in 1920 at the age of 12. 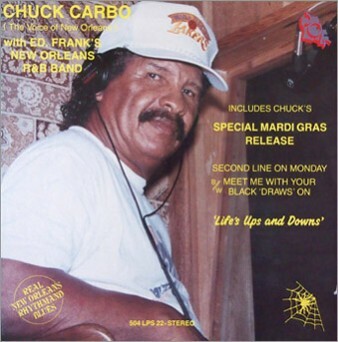 Since then he performed at countless theatres, clubs, Mardi Gras parades, dancehalls, backyard parties, second lines, weddings and funerals. 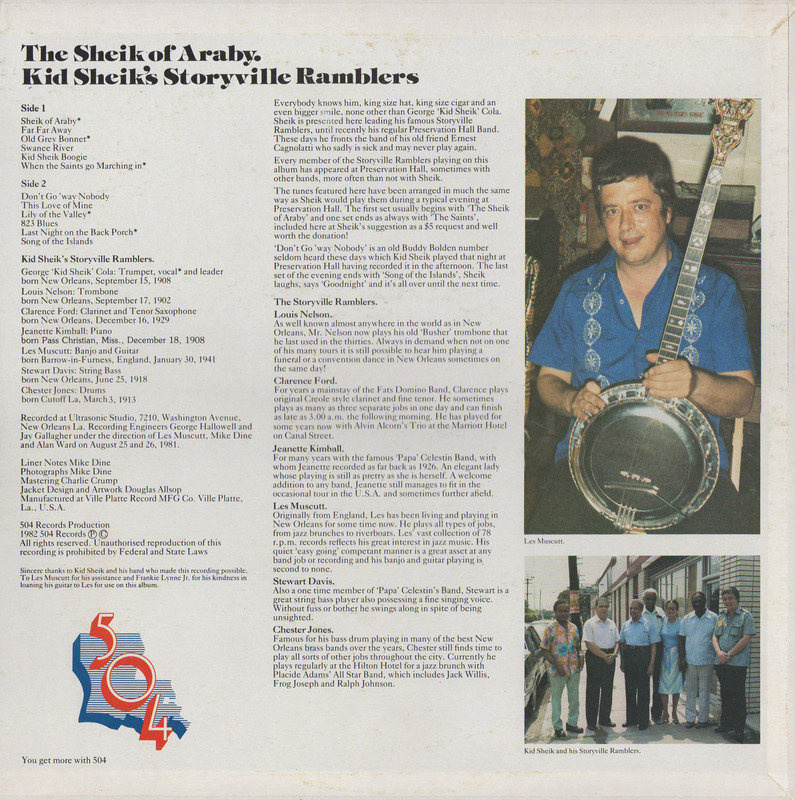 Cola is recorded here with his most famous ensemble, The Storyville Ramblers. Frank Decola’s 1968 12 minute film captures this jazz legend. Out of print. Less than 250 remain. 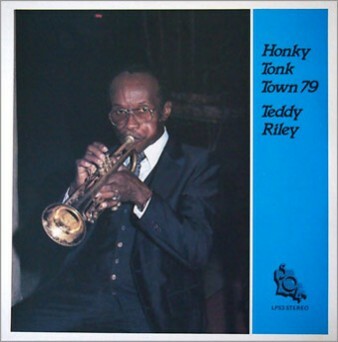 New Orleans native Teddy Riley (1924-1992) has played with Louis Cottrell, Jr., Champion Jack Dupree, Roy Brown’s Band, The Olympia Brass Band and Fats Domino to name a few. 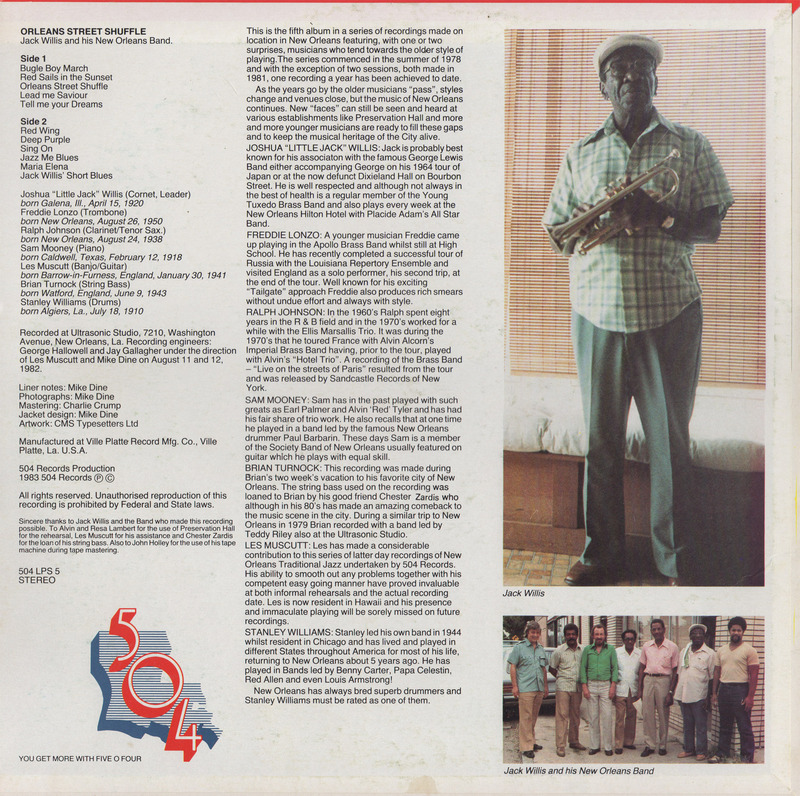 A trumpeter and bandleader, he was a jazz, R&B, and brass band staple of the New Orleans music scene since the 1940s. 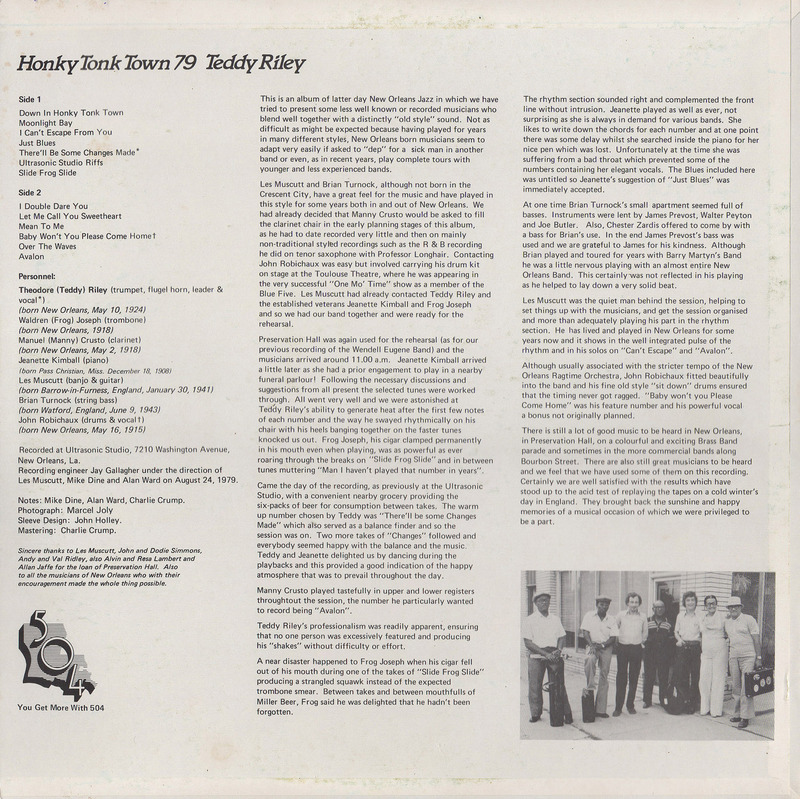 Recorded in 1979 at Ultrasonic Studios. Out of print. Less than 150 copies remain. 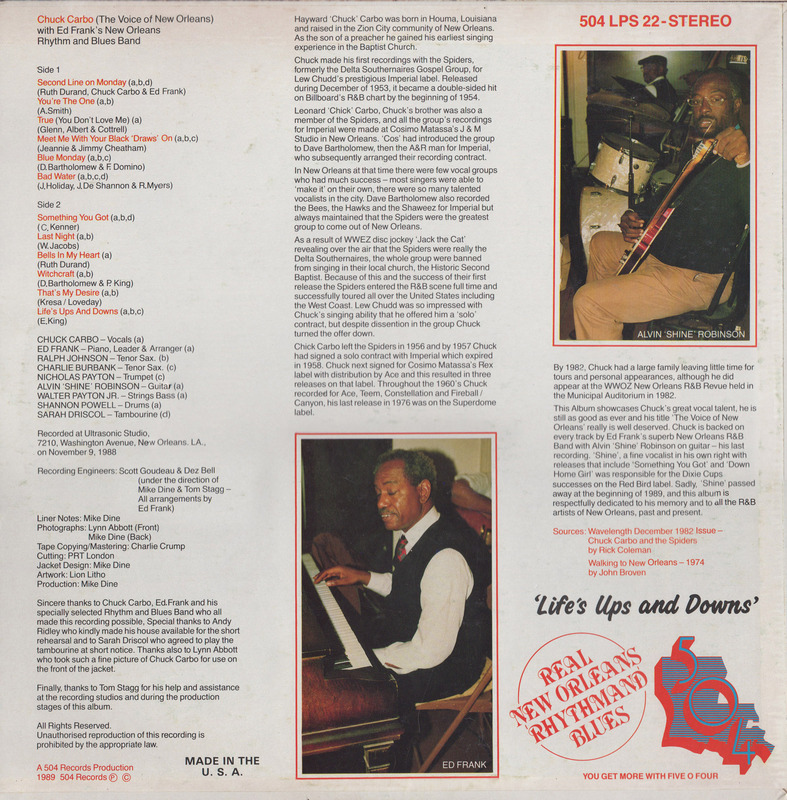 Traditional New Orleans jazz from traditional jazz players. 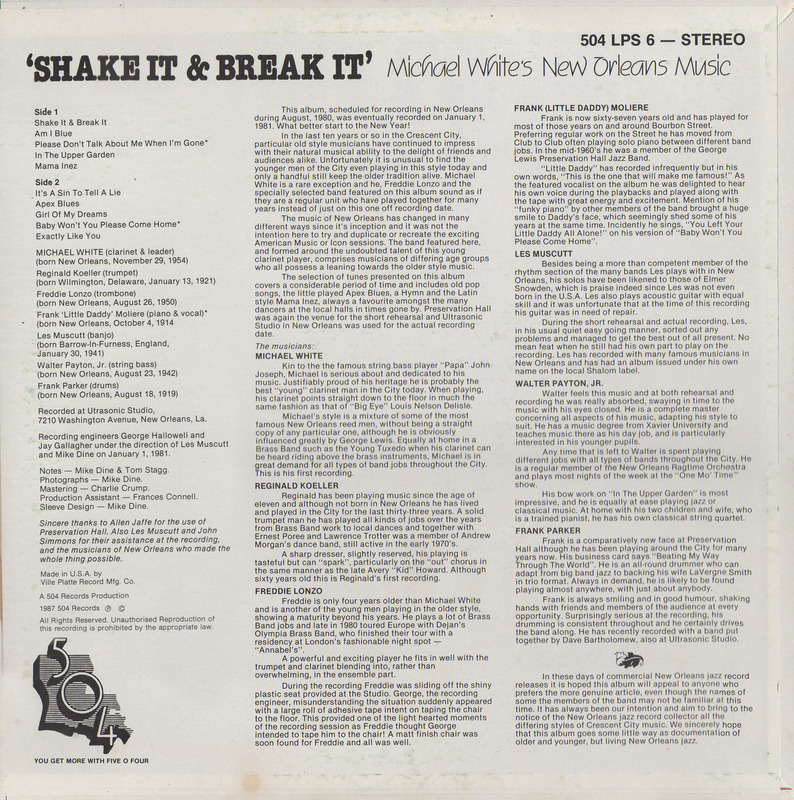 Another link in the unbroken chain of the musical tradition of The Big Easy. Recorded August 11 and 12, 1982 at Ultrasonic Studios. Out of print. Less than 200 copies remain. 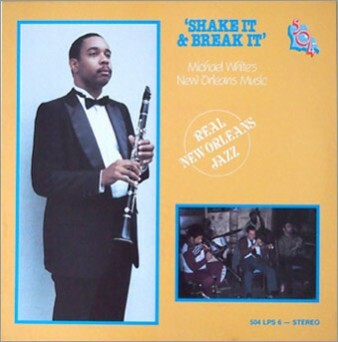 Born in New Orleans 1954; Dr. Michael White is a classically trained clarinetist, bandleader, professor, jazz preservationist and historian. He is a living legend of the Crescent City. This is his 3rd album. Recorded Jan. 1, 1981 at Ultrasonic Studios. Out of print. Less than 240 copies remain. 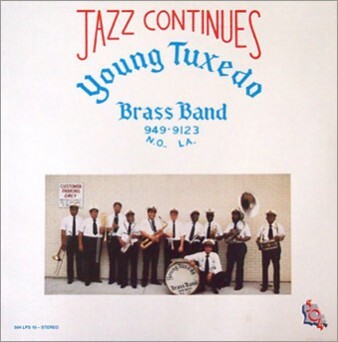 Young Tuxedo Brass Band N.O LA. 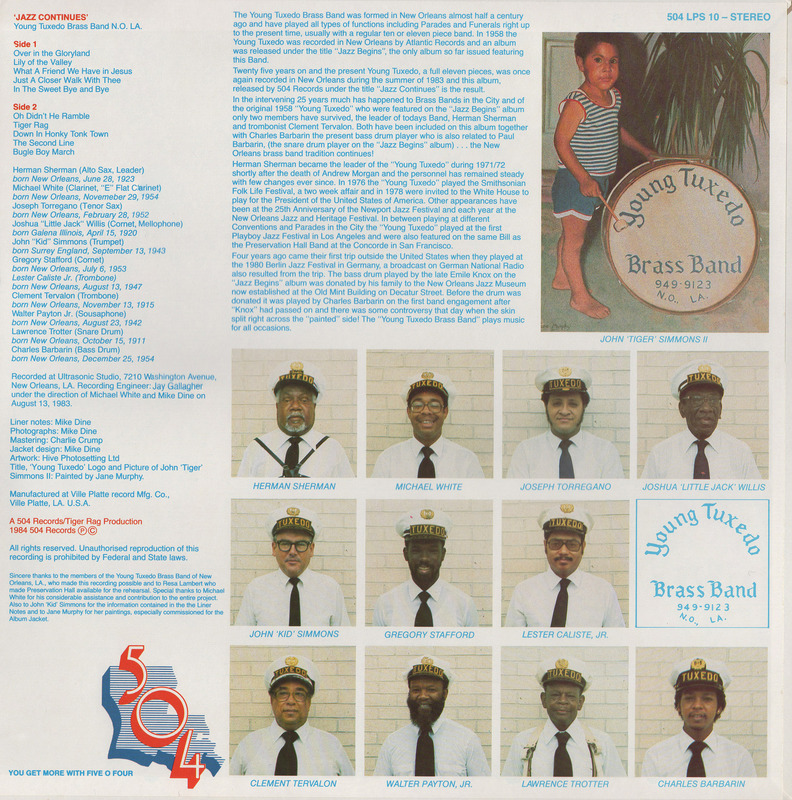 Formed in 1938, The Young Tuxedo Brass Band is considered to be one of the few remaining authentic traditional New Orleans Brass Bands. 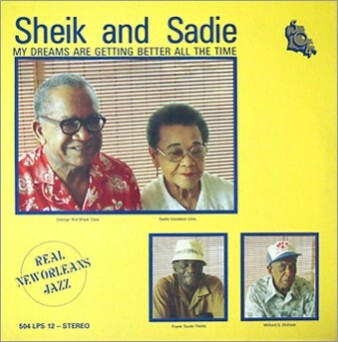 This is the follow-up recording to Atlantic Records 1958 release. 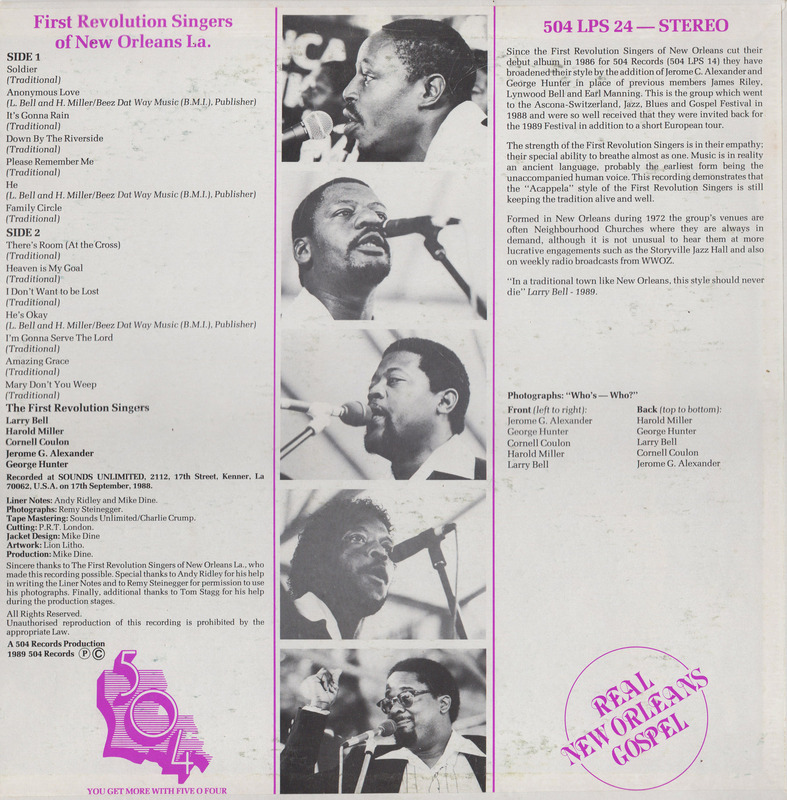 Recorded at Ultrasonic Studios, NOLA 1983. Out of print. Less than 45 remaining. 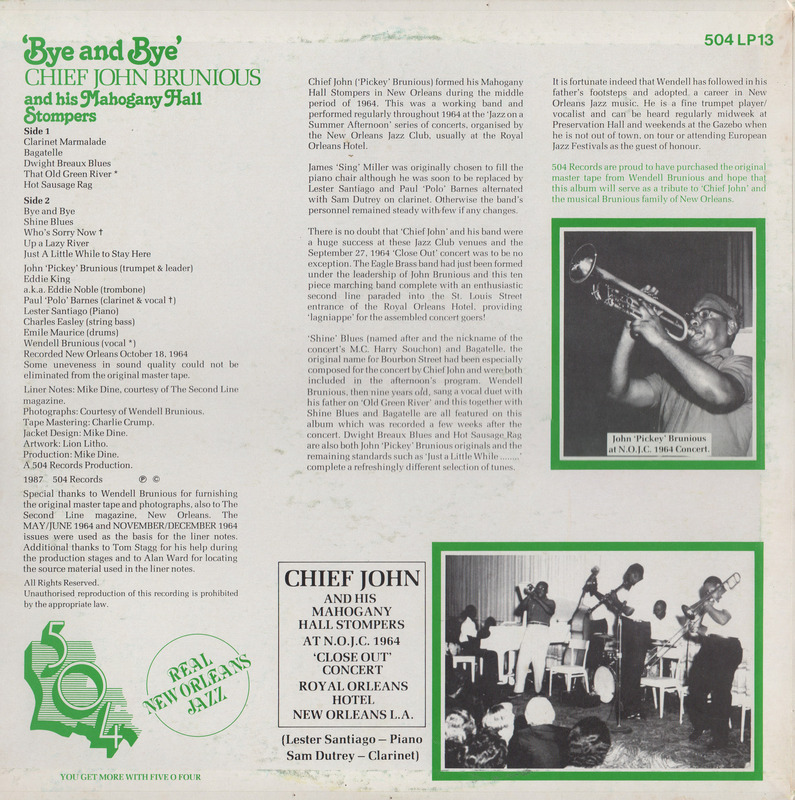 Recorded over the span of 2 days in early August, 1984 this album pays homage to the traditional sounds of New Orleans. Chester Zardis and Michael White lead a well-seasoned line-up of southern musicians. Out of print. Less than 250 remain. 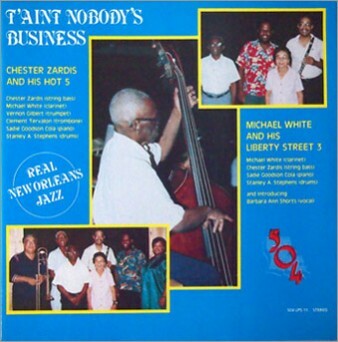 Four icons of traditional New Orleans jazz are captured in a 'no nonsense' recording made in 1981. 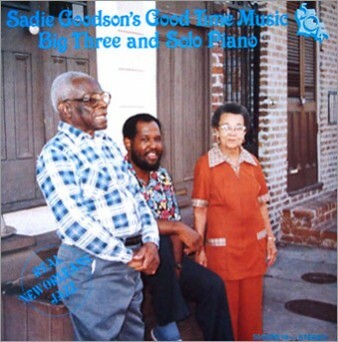 All over the age of 70 years of age during this session, George cola, Sadie Goodson, Frank Fields and Milford Dolliole play a mix of traditional, non-secular and original songs. Out of print. Less than 10 remain. 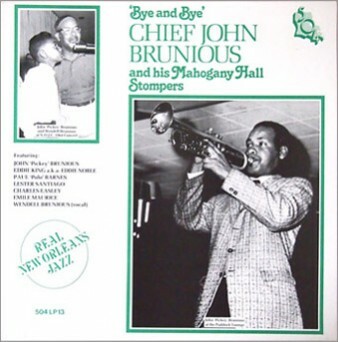 A founding father of New Orleans Jazz trumpeters, John Brunious is captured live in a concert organized by the New Orleans Jazz Club. Several original compositions are featured along with a vocal duet with his 9 yr. old son Wendell Brunious. 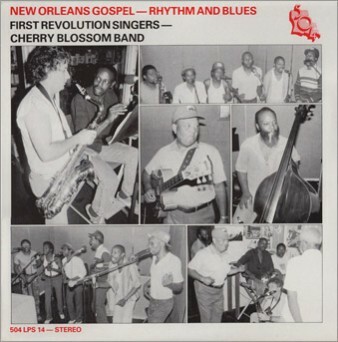 Recorded at the Royal Orleans Hotel 1964. Out of print. Less than 180 remain. 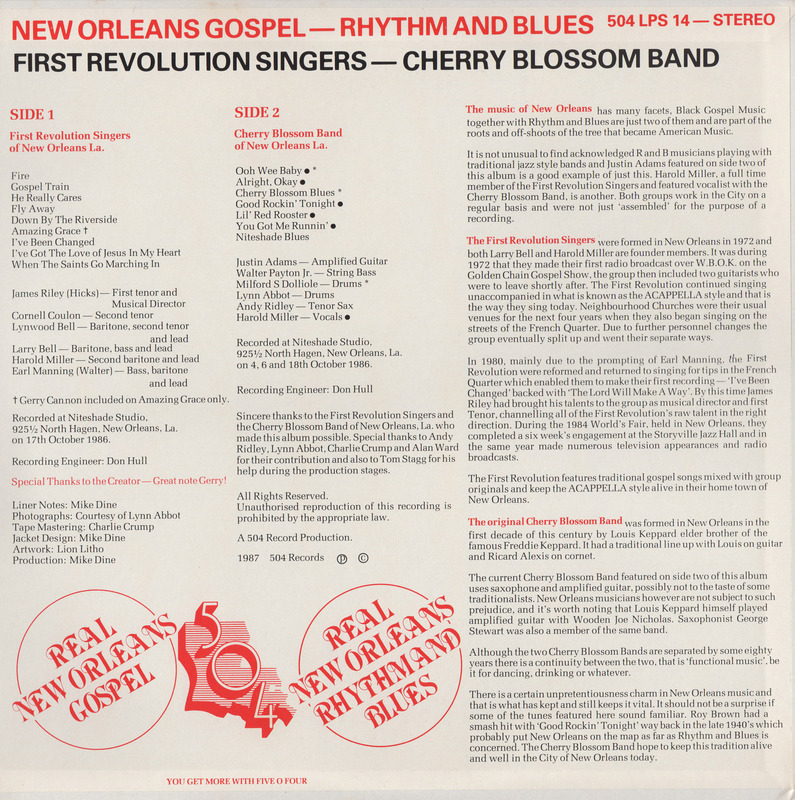 "There is a certain unpretentious charm in New Orleans music and that is what has kept and still keeps it vital..."
Split LP featuring First Revolution Singers on side A and Cherry Blossom band on side B. 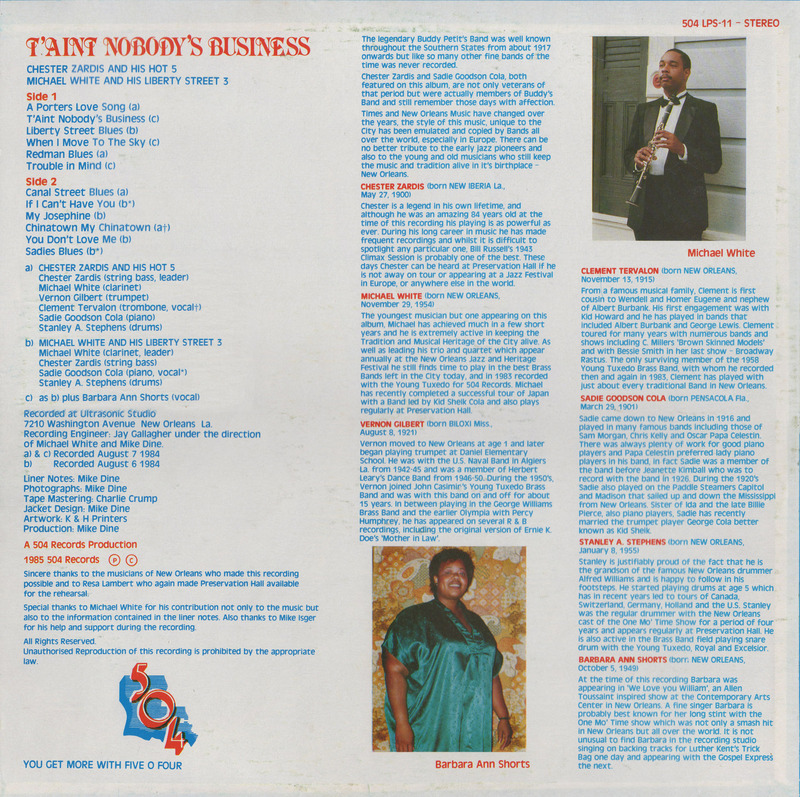 Recorded at Niteshade Studio, 1986. Centarians account for an extremely small portion of the total population in the United States. 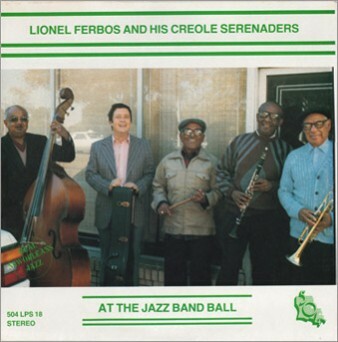 At 103 years of age, the passing of Lionel Ferbos on July 19, 2014 marked not only the loss of a National raretiy but a musical treasure of The Crescent City. Recorded 1987. Ultrasonic Studio. Out of print. Less than 50 remain. 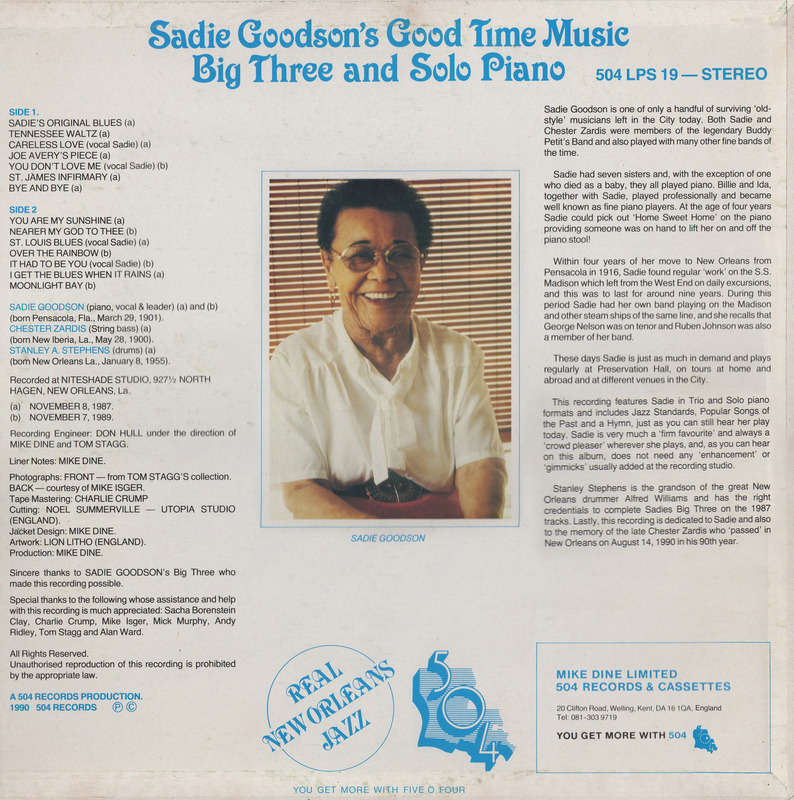 Sadie, one of six famous Goodson sisters, first began performing in 1916 with New Orleans jazz legends such as Chris Kelly and Buddy Petit,. Her musical career spanned for almost an entire century. She performs here with Chester Zardis and Stanley A. Stephens. Out of print less than 200 remain. By blending gospel and R&B, Hayward ‘Chuck’ Carbo had his first hit in 1953 with the Delta Southernaires/The Spiders with “I Didn’t Want to Do It” and “You’re the One” for Imperial Records. 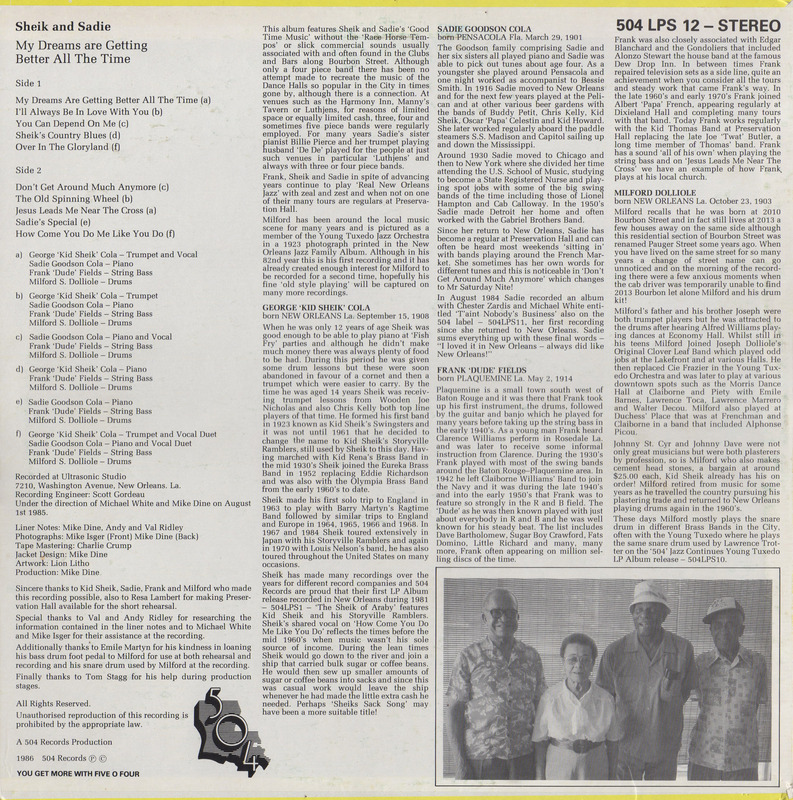 After their second hit “Witchcraft” (Dave Bartholomew) and several successful tours in the mid 1950’s Chuck went on to write several singles for the Ace label with Mac Rebennack. Chuck’s legendary baritone is heard here with Ed Franks’ New R&B band. Out of Print. Less than 200 remain. 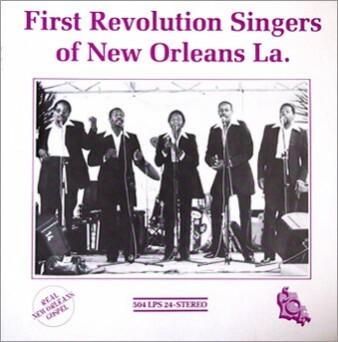 Authentic New Orleans Acapella Gospel. Recorded at Sounds Unlimited. Out of print. Less than 170 copies remain. 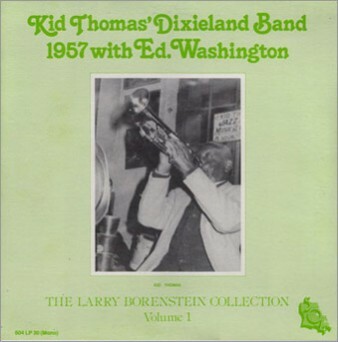 This release is Volume 1 of the Larry Borenstein Series, a collection of informal concerts recorded at the Associated Art Gallery (736 St. Peter St. French Quarter, NOLA) in 1957. 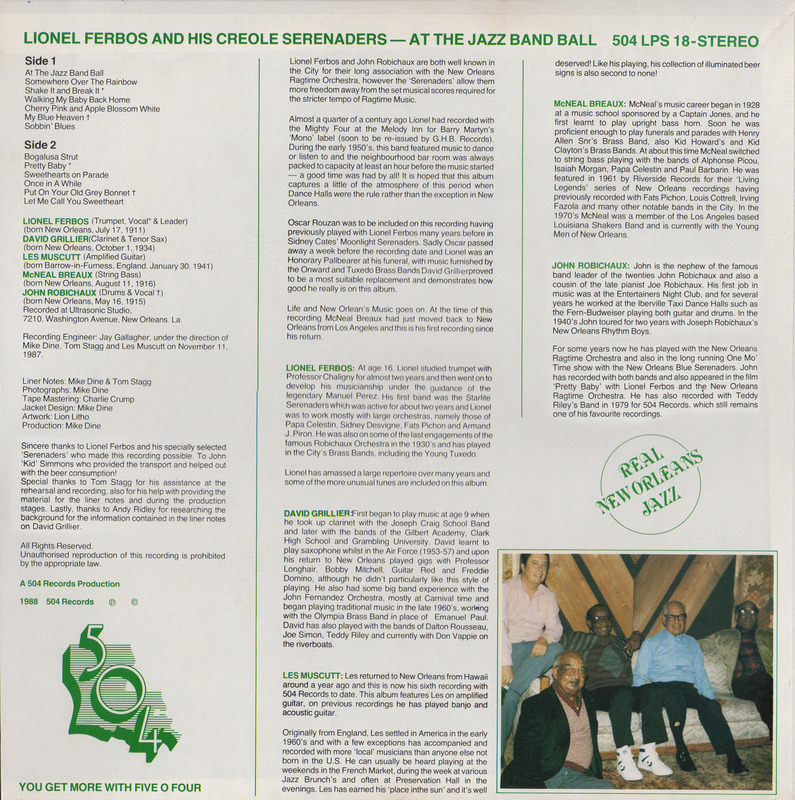 It was through these jazz sessions that inspired the creation of Preservation Hall. 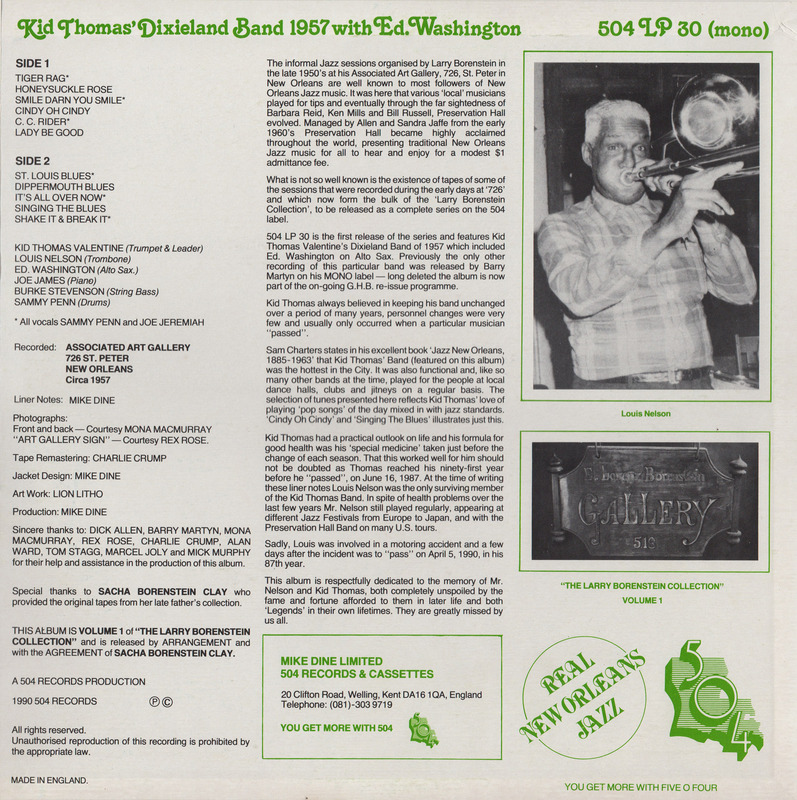 The undisputed king of the 1920’s New Orleans Dance Hall sound, Thomas “Kid” Valentine (1896-1987), performs in this special mono field recording with the likes of Ed. 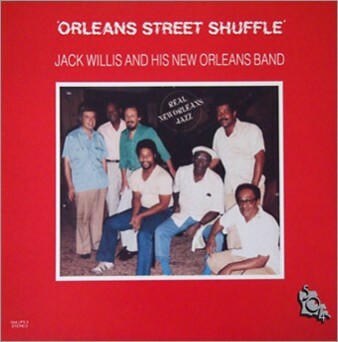 Washington, Louis Nelson, Joe James, Burke Stevenson, and Sammy Penn. Out of print. Less than 50 copies remain.